Detective Sebastian Castellanos has lost everything, including his daughter, Lily. To save her, he must descend into the nightmarish world of STEM. Horrifying threats emerge from every corner, and he must rely on his wits to survive. For his one chance at redemption, the only way out is in. 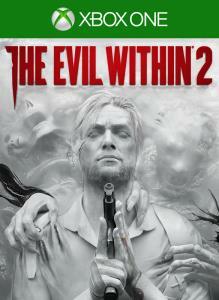 Pre-order The Evil Within 2 to receive The Last Chance Pack! The Last Chance Pack contains an exclusive Burst Handgun as well as crafting and medical supplies.